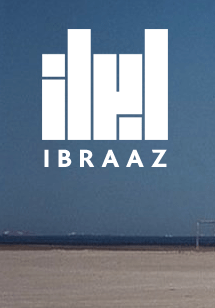 In this interview Omar Kholeif talks to Uriel Orlow about his recent project for Ibraaz Platform 008: 2922 Days(2014), a culmination of two earlier works that uncover the undocumented eight-year entrapment of 14 cargo ships in the Suez Canal at the outbreak of the 1967 war between Israel and Egypt, Jordan and Syria. Orlow explains how his discovery of this un-authored historical moment and subsequent detective-like research developed into a project in which the ‘heterotopia’ of creativity and community-building became manifest in the montage approach he adopted for the work, connecting this ‘time-capsule’ in the Great Bitter Lake with other events taking place across the world during this period. Omar Kholeif: How did 2922 Days (2014) begin as a project? Uriel Orlow: 2922 Days remixes two previous works The Bitterlake Chronicles and Anatopism – both of which are part of the work-cycle The Short and the Long of It (2010–12). The Bitterlake Chronicles consists of images presented on a display table while Anatopism is a slide projection. I wanted to explore the possibilities of combining the two works. I was interested in the time-capsule aspect of the community of sailors trapped in the Suez Canal from 1967 to 1975 – not just what was going on aboard the ships but also in the world around them. I collected book, film and music titles as well as events that occurred during the eight years of the ships’ entrapment. These are not presented chronologically in the work; my interest lies more in the connections, repetitions and developments but also arbitrary associations. The apparent standstill at the Great Bitter Lake transforms into the centre of the world and everything revolves around it.